Wow...thanks for posting that video Chris.....Im going to listen again without the amazing visuals. Often ambient music is the soundtrack to our lives or a life and just works so well with our imagination or film, case in point and where is that city? Yes, totally cool. I think the city is Singapore. Singapore...OK. from where I sit in S.E. Florida that could be a Ridley Scott movie stage.....been down here in the salt, sand and strip malls for a while. Need to spend some time in the metropolis called Miami...get re-acquitted. Those Autumn of Communion releases are quite special.I enjoy 1-3. Biosphere-Das Subharchord.1 track that is similar in feel to Kraftwerk Radio-Activity.Not been into his latest but still rotate Substrata on a regular basis. 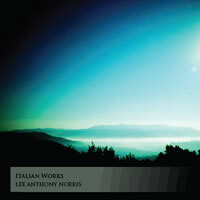 Lee Anthony Norris - Italian Works I had about half of this on downloads so great to get it on CD. This is a gorgeous collection of Lee's recent ambient works. 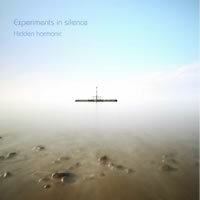 Experiments in Silence - Hidden Harmonic - One of the best ambient releases I have heard this year. On a par with Nacht Plank - Echo Ark. 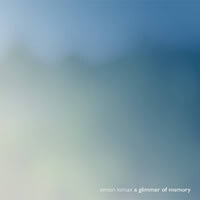 Simon Lomax - A Glimmer of Memory First I have heard from this artist and again it really is stunningly beautiful. A recent release by Tomoyoshi Date and Corey Fuller on 12k. The first couple of Illuha releases didn't appeal to me much, but this one is outstanding. The third track in particular, The Relationship of Gravity to the Persistence of Sound, is a stunning example of how to blend experimental microsound with emotionally powerful ambient. Excellent guitar work. I've been craving something like this for a long time. Thanks, Mr. Pearce! Just ordered the cd, the demo track up at 12k is quite beautiful......thanks for the heads up. Not sure how I got on this kick, but I've been on a Bryan Ferry/Roxy Music bender the whole week. At the risk of really dating myself, I've been a Roxy Music fan since "Virginia Plain" and Bryan Ferry's solo career is still going strong(the man is 69 and just played 2 nights at Coachella!). In fact, while I was strolling down Memory Lane, I discovered an album I was unaware of, The Jazz Age, a collection of Roxy and Ferry tunes arranged as jazz standards. Here's "Love Is The Drug." Percival Pembroke - a course in the theory of drones - nice Bandcamp find. Subtitle is "works for tape machine, sampler and reverb.' Lots of nice tape degradation on this. And it's free! Dave, I downloaded that Percival Pembroke release. Very neat! I read a brief discussion of this disc a few years ago on the Hypnos forums, but never got around to checking it out. My kids bought me a copy for Father's Day, however, and I've been enjoying it immensely. I love the mysterious, dreamy quality of the tracks. Another excellent album. Top-notch guitar atmospherics. That Willits is excellent. Thanks Julio. This is a great new vinyl 2x10" + digital release from 12k. Most of the source material comes from improvised guitar and synths recorded at the historic Fish House near Captiva Island, FL. The environmental sounds, as you might expect, emerge in the mix, creating a nice seaside feeling to the ambient soundscapes. The last track is pretty neat, containing some soft piano sounds, treated with found objects from the bay. Oh, and the art for the album is mesmerizing. The entire package is really nifty. Tried to check it out, but can´t bother anymore. Not having audio-sample or even links on their website is the most stupid thing I´ve ever experienced concerning a label. It is probably an oversight on Deupree's part; 12k typically has 1 or 2 samples for each release. Check out the soundcloud page that I linked; it has one of the tracks in full. This Friday evening..........in a quiet house......for once. Rush - Vapour Trails - remastered and remixed - vinyl. Utterly Superb. Boards Of Canada - Music Has The Right To Children - vinyl. Check those bass frequencies out !! Ambient dub. So far first two tracks are excellent indeed. Checked out those Martin Nonstatic samples. Excellent! A collaboration between Donnette Thayer (Game Theory) and Steve Kilbey (The Church) from 1989. Ethereal and folksy, in a way that might be appealing to folks who are seeking an aural missing link between Slowdive and Mojave 3. Some good tunes from 1988 with distinctive, mesmerizing female vocals. Super quirky record from 1983. There is a lot of diversity in this, including tracks that are majestic, tracks that sound stoned, and tracks that are highly experimental. Giving this a listen for the first time in a while and it's one of my favorite Grassow albums. Also, has anyone listened to First Gift Of Life yet?